On December 16, 2014, the President signed into law H.R. 83, the Consolidated and Further Continuing Appropriations Act, 2015, which became Public law 113-235. On December 11, 2014, the House of Representatives agreed with an amendment to the Senate amendment by a vote of 219-206. On December 13, 2014, the Senate agreed to the House amendment to the Senate amendment by a vote of 56-40. The law provides fiscal year 2015 full-year appropriations through September 30, 2015 for all agencies except the Department of Homeland Security, for which appropriations are provided instead through February 27, 2015. On December 16, 2014, the Senate passed H.R. 5771 by a vote of 76-16. H.R. 5771, the Tax Increase Prevention Act of 2014 passed the House on December 3, 2014 and would extend certain expiring tax provisions. Incorporated within H.R. 5771 is the ABLE Act (H.R. 647), a bill that passed the House on December 3, 2014. H.R. 5771 awaits the signature of the President. On December 12, 2014, the Senate passed H.R. 3979, the National Defense Authorization Act for FY 2015. The bill passed the Senate by a vote of 89-11 having previously passed the House by a vote of 300-119 on December 4, 2014. The bill now goes to the President for his signature. On December 10, 2014, the House passed S. 2521, the Federal Information Security Modernization Act of 2014. The bill passed the Senate with an amendment by voice vote on December 8, 2014. S. 2521 now moves to the President for his action. On December 8, 2014, S. 2520, the FOIA Improvement Act of 2014, as amended, passed the Senate by unanimous consent. The bill would make a number of changes to the Freedom of Information Act (FOIA) (5 U.S.C. 552) that would affect all Federal agencies. The bill now moves to the House for consideration. On December 4, 2014, the House passed H.R. 5759, the Preventing Executive Overreach on Immigration Act of 2014 by a vote of 219-197 with 3 members voting present. This bill establishes a rule of construction clarifying the limitations on executive authority to provide certain forms of immigration relief. The bill now moves to the Senate for consideration. On December 4, 2014, the Senate passed H.R. 5739, the No Social Security for Nazis Act, without amendment by unanimous consent. The bill would terminate payment of Social Security benefits to additional individuals who participated in Nazi persecution. It also would clarify the timeframe in which the Department of Justice (DOJ) or the Department of Homeland Security (DHS) must notify the Social Security Administration (SSA) of certain actions involving these individuals. The bill now goes to the President for his signature. On February 25, 2014, the House of Representatives passed H.R. 1211, the FOIA Oversight and Implementation Act of 2014 by a vote of 410-0. The bill would make a number of changes in the Freedom of Information Act (FOIA) (5 U.S.C. 552) that would affect all Federal agencies. On December 3, 2014, the House of Representatives passed H.R. 647, the Achieving a Better Life Experience Act of 2014 (ABLE Act), by a vote of 404-17. The bill would create a new type of tax-advantaged account that would have limited effect on an individual’s eligibility for the Supplemental Security Income Program. It would also change the age at which workers compensation offset ends for Disability Insurance beneficiaries from age 65 to full retirement age. The bill now moves to the Senate for consideration. On November 12, 2014, the House passed H.R. 1233, the Presidential and Federal Records Act Amendments of 2014, as amended by the Senate, by voice vote. The bill would amend procedures for the disclosure of Presidential records and management of Federal agency records. On September 10, 2014, the Senate passed the measure, by unanimous consent. The bill now goes to the President for his action. On September 16, 2014, the House passed H.R. 5170, the Federal Records Accountability Act of 2014, by voice vote. The bill is intended to improve Federal employee compliance with Federal records policies. The bill now awaits Senate action. On September 16, 2014, the House passed H.R. 5169, the Senior Executive Service Accountability Act, by voice vote. The bill would enhance accountability within the Senior Executive Service (SES). The bill now awaits Senate action. On September 18, 2014, the Senate passed S. 1611, the Federal Data Center Consolidation Act of 2013, as amended by unanimous consent. The bill would require certain agencies to assess their data centers’ inventory and develop consolidation plans. The bill now awaits action in the House. On September 18, 2014, S. 1360, the Improper Payments Agency Cooperation Enhancement Act of 2014, or IPACE, as amended, passed the Senate by unanimous consent. Among other things, the bill would permit the Social Security Administration (SSA) to share the full file of death information through the Do Not Pay portal established by the Improper Payments Elimination and Recovery Improvement Act of 2012 (IPERIA). The bill now moves to the House for its consideration. Previous action 7/24/13. On September 18, 2014, the Senate Finance Committee approved Carolyn W. Colvin to be the Commissioner of the Social Security Administration by a 22-2 vote. The action by the Finance Committee clears the way for Ms. Colvin to be considered by the full Senate. On September 16, 2014, the Senate amended and passed, by unanimous consent, S. 2117, the Smart Savings Act. 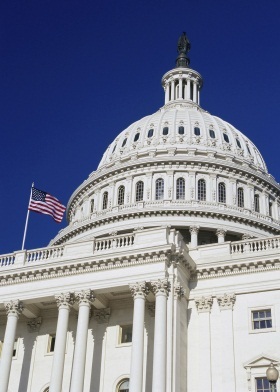 The bill would change the default investment fund under the Thrift Savings Plan. On September 8, 2014, the Senate confirmed nominees to serve on the Social Security Advisory Board (SSAB). The new SSAB members are Henry J. Aaron, Lanhee J. Chen, and Alan L. Cohen. Mr. Aaron will serve as Chair of the Board. On May 9, 2014, the President signed into law S. 994, the Digital Accountability and Transparency Act of 2014, or the DATA Act, which became Public Law 113-101. The House passed the bill on April 28, 2014 by voice vote. The Senate passed the bill on April 10, 2014 by unanimous consent. The law changes how Federal spending data is reported, instructs OMB to simplify the reporting requirements that apply to contractors, and changes when agencies report debt for administrative offset. On January 16, 2014, the President signed into law S.1614, the Accuracy for Adoptees Act, which became Public Law 113-74. The law requires Federal agencies to recognize State name and date of birth determinations, as established on court orders, birth certificates, or other similar vital records documents issued by the adopted child's U.S. State of residence, as evidence of name and date of birth changes when issuing Certificates of Citizenship and other Federal documents. Previous action 12/23/13. On December 26, 2013, the President signed H. J. Res. 59, the Continuing Appropriations Resolution, 2014. The House amended and passed the resolution on December 12, 2013 by a vote of 332-94. The Senate agreed to the amendment by a vote of 64-36 on December 18, 2013. The bill sets overall discretionary spending limits for fiscal years 2014 and 2015 and provides $63 billion in sequester relief. The enacted bill has been designated Public Law 113-67. On November 18, 2013, the House of Representatives passed H.R. 2061, the Digital Accountability and Transparency (DATA) Act of 2013, as amended, under suspension of the rules by a vote of 388 - 1. The bill would expand disclosure of Federal agency spending, including Federal contracts, loans, and awards. It would also establish government-wide data standards for the publication and use of Federal spending information. The bill also adds transparency measures and spending limits to conference spending and travel. The bill now moves to the Senate for further action. On August 1, 2013, the House of Representatives passed H.R. 2879, the Stop Government Abuse Act, by a vote of 239 to 176 under a closed rule that prohibited any amendments. The bill would limit Federal employee bonuses and awards, expand disciplinary action against Senior Executives, and increase individuals’ rights to record conversations with Federal employees. The bill now moves to the Senate for further action. On July 31, 2013, the House of Representatives passed two bills under suspension of the rules that focus on government spending and customer service. H.R. 313, the Government Spending Accountability Act of 2013, as amended, would limit Federal agency spending on travel and conferences. H.R. 1660, the Government Customer Service Improvement Act of 2013, as amended, would establish Government-wide customer service standards and require agencies to develop agency-specific standards. The bills have been received in the Senate and referred to the Homeland Security and Governmental Affairs Committee. On July 24, 2013, Senator Thomas Carper (D-DE) introduced S. 1360, the Improper Payments Agency Cooperation Enhancement Act of 2013, or IPACE. On December 12, 2013, the Senate Committee on Homeland Security and Governmental Affairs reported out the bill as introduced. The bill would create a National Deaths Registry to be shared through the Do Not Pay portal established by Executive Order M-12-11 in June 2010, and codified by the Improper Payments Elimination and Recovery Improvement Act of 2012 (IPERIA). On July 11, 2013, the House passed H.R. 2642, the Federal Agriculture Reform and Risk Management Act of 2013, by a vote of 216-208. The bill would require the Secretary of Agriculture to reconcile, at least twice each year, the Social Security numbers of all individuals receiving payments, whether directly or indirectly, under farm commodity programs, with the Commissioner of SSA to determine if the individuals are alive. On June 27, 2013, the Senate passed S. 744, the Border Security, Economic Opportunity, and Immigration Modernization Act, by a vote of 68-32. The bill, which was reported out of the Senate Judiciary Committee on May 21, would increase border and interior security, and would make electronic employment eligibility verification mandatory for all new hires—and some current workers—across the Nation. The bill now moves to the House for consideration. On June 18, 2013, the House passed H.R. 1896, the International Child Support Recovery Improvement Act of 2013 under suspension of the rules by a vote of 394-27. The bill would increase the retention period of information maintained in the National Directory of New Hires database and establish new uses of data in each component of the Federal Parent Locator Service for State and Federally-sponsored research. The bill now moves to the Senate for further action. On June 10, 2013, the Senate passed S. 954, the Agriculture Reform, Food, and Jobs Act of 2013, by a vote of 66-27. The bill would require the Secretary of Agriculture to reconcile, at least twice each year, the Social Security numbers of all individuals receiving payments, whether directly or indirectly, under farm commodity programs, with the Commissioner of SSA to determine if the individuals are alive. On April 26, 2013, Representative Lamar Smith (R-TX) introduced H.R. 1772, the Legal Workforce Act. On June 26, 2013, the House Judiciary Committee reported the bill with amendments, by a vote of 22-9. The bill contains numerous provisions of interest to SSA, including mandatory electronic employment eligibility verification for all new hires – and some current workers – across the Nation. On April 16, 2013, Senator Schumer (D-NY) introduced S. 744, the Border Security, Economic Opportunity, and Immigration Modernization Act. On May 21, 2013, the Senate Judiciary Committee reported the bill with amendments, by a vote of 13-5. The bill as reported includes numerous provisions of interest to SSA and now moves to the full Senate for consideration. On April 16, 2013, the House passed H.R. 1163, the Federal Information Security Amendments Act of 2013 under suspension of the rules by a vote of 416-0. The bill would amend Federal information security provision established by the Federal Information Security Management Act of 2002 and codify Federal security monitoring requirements. On April 15, 2013, the House passed H.R. 882, the Contracting and Tax Accountability Act of 2013 under suspension of the rules by a vote of 407-0. The bill would prohibit individuals and companies with outstanding tax debt from receiving government contracts.